Opinions about the use of mobile phones in education are rapidly changing. Although some schools in Australia have recently banned them, many educators around the world see these devices as a fascinating opportunity. Children already utilize the vast resources available on their mobiles through videos, interactive games, and a variety of social media. Integrating those same technologies into the education system can engage learners in a revolutionary way. The future of mobiles in education is constrained only by the imagination of educators. Mobile phones are not just a tool for learning: in an education environment, they can also play an important role in communication and serve as a marketing channel for schools and colleges. From communicating with parents to updating students during a crisis, mobile usage and SMS are becoming staples both inside and outside the classroom. According to Forbes, 91% of smartphone users keep their devices close at hand. Other reports claim that 98% of all SMS messages are opened, compared to only 20% of emails. And 90% of those messages are read within three minutes, making SMS an ideal way to disseminate information quickly. With the unfortunate rise in safety risks at schools, parents and teachers need to work together to protect and support students. The Clery Act in the United States requires certain schools to update parents on crime statistics and risks within the school or learning facility. To ensure compliance, bulk SMS messaging is being used to keep parents, teachers, and students apprised of any current or potential threats, ranging from environmental to criminal. The value of SMS goes far beyond safety. Bulk SMS messaging can advise parents of forthcoming activities, snow days, or even fee-related issues. Schools can target messages at specific groups such as a football team or chess club to update meeting times or warn of last-minute cancellations. There are many reasons a school may wish to communicate with parents, including child absenteeism, missing permission slips, or sickness. In these cases, a parent can be reached directly via SMS. Likewise, a parent may need to inform the school that they will be late picking up their child. A well-managed messaging system will route such information to the right staff member for appropriate action. The majority of students text each day, and colleges have been quick to exploit this in their marketing campaigns. Details of courses, pre-registration events, and admission requirements are sent by SMS to specific groups with confidence that the messages will be seen and opened. Although still relatively new, classroom use of virtual reality (VR) is set to grow in 2017. Evidence of this is the increasing number of companies dedicated to creating learning tools based on the technology. The Blurred Minds educational program in Queensland, Australia, has created a VR game called Perfect Pour. This VR experience teaches adolescents the risks of alcohol and drug abuse in ways that transcend traditional textbook and presentation methods. To enhance conventional lessons, a geography teacher can already “take” their pupils to Paris for a virtual tour along the Seine or to view the Eiffel Tower. Ancient history comes alive when students enjoy a virtual walk among the ruins of Machu Picchu. English literature classes studying Shakespeare’s Romeo and Juliet can gain additional insight by “visiting” Verona. Learning becomes fun through this three-dimensional experience, which has endless possibilities. Mobile phones are key to the success of VR in education. Accessibility of mobiles by almost every child, together with the decrease in the price of headsets such as Google Cardboard, is making VR a practical option. Looking further ahead, artificial intelligence (AI) offers remarkable promise for education. Learning apps with built-in AI will analyze students’ progress. With a massive database to draw upon, AI will propose lesson adjustments to suit individual needs. The ratio of students to teachers is on the rise. This often limits the time a teacher can devote to assisting a child who is struggling with a subject. If an answer is incorrect, AI can identify possible issues by analyzing the way the answer was derived. It will then adjust current and future lessons accordingly. When the syllabus next touches on a topic that may present similar challenges to the student, AI-based apps will use knowledge of the previous difficulties to help. The potential of AI to tailor education to the needs of an individual within the classroom environment is not as far away as some might think. It is already being investigated by IBM, Apple, and others. Apps are available today to monitor real-time analytics at the student level. In the United Kingdom, similar technology is being used to help thousands of students who are struggling with math. Most parents no longer want to wait for parent/teacher evenings to discover how well their child is doing. 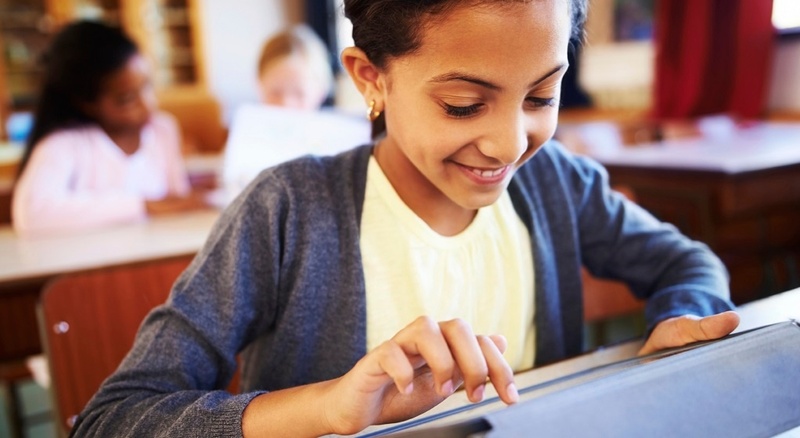 With the analytics available, schools can use SMS to inform them of progress or any concerns. Suitable action can be taken before a minor stumbling block in a subject becomes a hurdle. Mobile devices will revolutionize education, and the benefits will be immense. But the advantages that mobiles bring to communication are equally important. Parents can be more involved in their child’s schooling, even as they pursue increasingly busy lives. Society has become more complex, and risks to children are on the rise. Thus the need for timely messaging between parents and schools is paramount. By last year, over 58 million people had signed up for a MOOC (Massive Open Online Course). The staggering growth of these online courses, many of which are free, is directly related to the availability of mobile devices. It is a clear demonstration of the willingness to adopt such technology into education. That same growth will be seen in K-12 schooling. Phrases such as BYOD (bring your own device) are now heard around the world. Are you looking to integrate a mobile solution into your curriculum or school? Whispir can help you take advantage today of these new future trends in education.